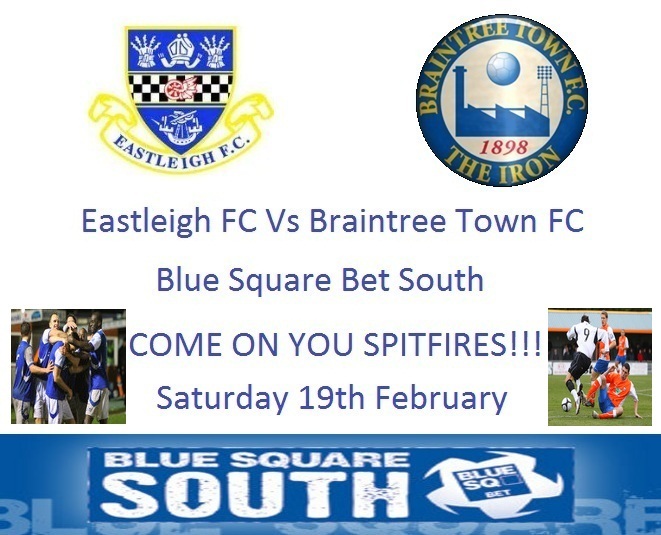 Ian Baird’s Spitfires play Braintree Town on Saturday at the Silverlake Stadium. The Iron sit in first place 11 points clear of Eastleigh – however Eastleigh have a game in hand on Braintree and if they win on Saturday and Monday against Dover Athletic they will be only five points from first place. The Spitfires sit in fifth on 47 points having scored 49 goals and conceded 29 goals in the league. Braintree on the other hand has scored 50 goals and conceded only 20 goals in the league and has 58 points. The Iron’s last game finished 1-1 against 15th placed Dartford who helped The Spitfires into the play-off zone on Tuesday holding sixth placed Welling United to a 1-1 draw. Eastleigh last played on Monday when they secred a comfortable win against last place St Albans City. Braintree have only failed to score once in their last six games a 1-0 defeat to Dartford. Braintree have only lost four league games this season while The Spitfires have lost six. Over the last twenty games Eastleigh have not failed to score whereas Braintree failed to get onto the score sheet four times. Coming into this game, Braintree have released striker Dave Bryant but The Iron have on loanKidderminster Harriers defender Ollie Thorne. Lets roar on The Spitfires as they play this important league game!! !